Mt Pulag is known as ‘The Playground of Gods’ and for someone who has witnessed its glory, it’s easy to see why. Mt Pulag is the third highest mountain in Philippines. Its peak stands proud at a whopping 2922 meters above sea level. For those who brave the challenging but incredibly beautiful hike, the rewards are priceless. Spectacular sunrises and sunsets, a sea of clouds for company and unparalleled views await the enthusiastic hikers who reach the top. A number of exotic plant species and flower beds make the hike extremely picturesque and memorable. You can choose between an easy route and relatively more challenging hike. It is possible to make arrangements for jeepneys from Baguio to take you directly to the Badabak Ranger Station. This significantly cuts climbing time. A permit is necessary and can be obtained on-site. Depending on the trail you want to embark on, the guide fee will vary. 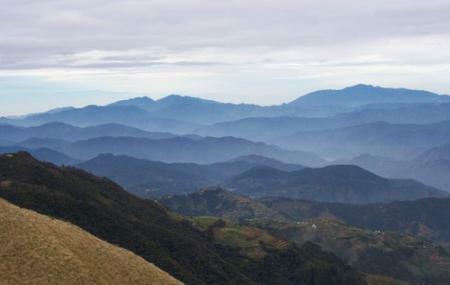 To reach Mt Pulag, hire a cab and reach the ranger station to start your trek. How popular is Mount Pulag? People normally club together Baguio City Market and Camp John Hay while planning their visit to Mount Pulag. People also prefer to end their day with Mount Pulag.